A fourth, as yet unscheduled trial will likely be the last. Almost a year to the day Washington Post correspondent Jason Rezaian was arrested and detained by Iranian authorities, and almost two months into an opaque, closed-door trial on espionage and other charges, Tehran has indicated Rezaian’s trial is nearing its conclusion, according to Washington Post executive editor Martin Baron. It is long past time for the Iranian authorities to bring this process to an end. The proceeding began on May 25, ten months after Jason was detained, and to date it has included only three sessions, whose details remain secret. There can be no reason for further delay. The charges that Jason faces, including espionage, are grave; they also could not be more ludicrous. Any fair outcome would clear Jason of these manufactured charges so that he can be released and reunited with his family. Although there is a promise of a conclusion, much about it, and Rezaian’s fate, remains murky. Once a fourth trial date is set, there is no definitive timeline for how long after a verdict would be issued, or what that verdict would be. In addition to Baron and the Post’s consistent attempts to get Rezaian released, the Committee to Protect Journalists sent a letter today to Ayatollah Sadeq Larijani, head of the judiciary in Iran, asking Larijani to intervene and release Rezaian. “Never before has an international journalist been held for so long in the Islamic Republic of Iran,” stated the letter, signed by CPJ board members. 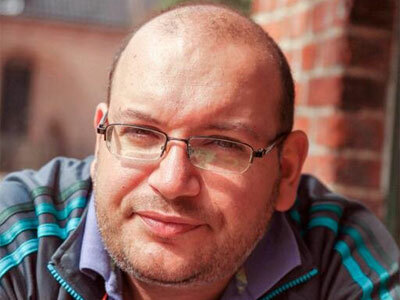 If convicted, Rezaian could face up to 20 years in prison.